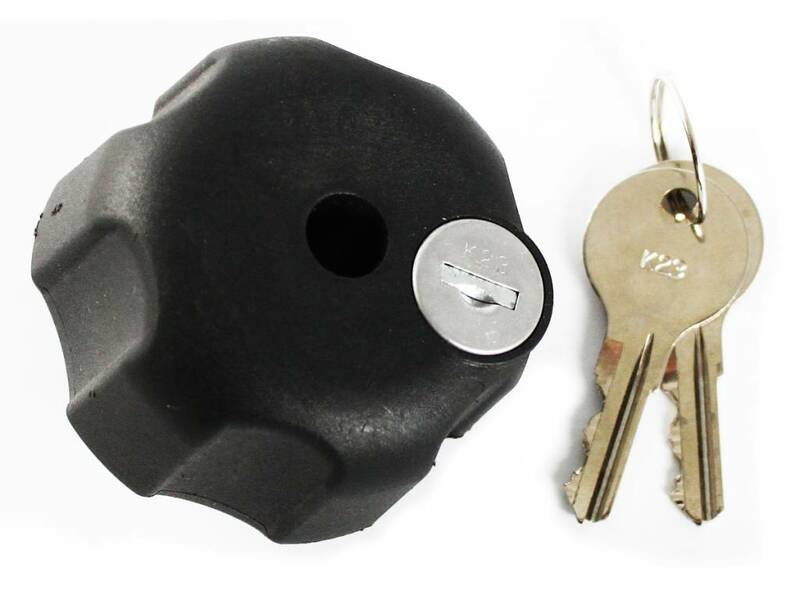 C-Kogel montageset kort met anti-diefstal knop. 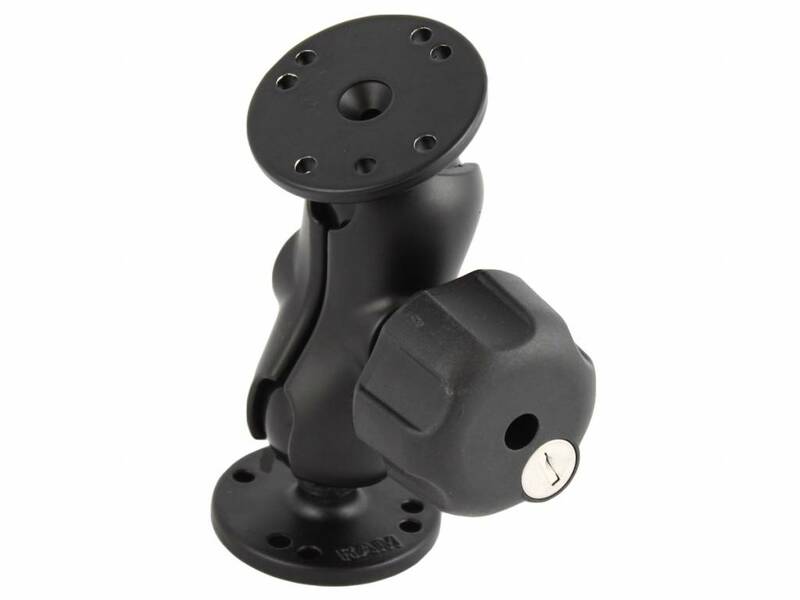 The RAM-101-BL consists of a double socket arm, two 2.5" diameter round bases that contain the universal AMPS hole pattern and locking knob. 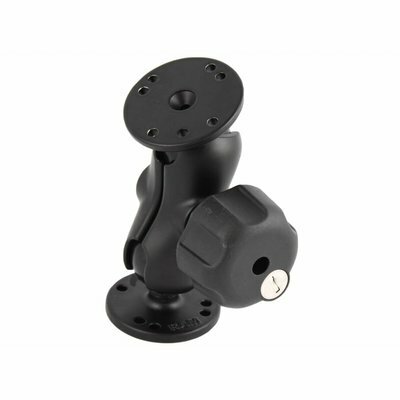 The mount is designed with a 1.5" diameter patented rubber ball and socket system that has adjustment points at both ends of the double socket arm; this allowing for almost infinite adjustment and perfect viewing angles. The hole pattern found on the round base adapter will connect to many RAM cradles, including all iPad cradles. The included RAM’s patented design dampens shock and vibration, helping to extend the life of your device.